First Order of business is supporting the show. I have had a few e-mails come in from people asking how they can support the show. The answer is simple, Check out our support page and sign up for any of the sites listed. There are not many sites up yet, but I will be adding more over the next few days. If you are not able to sign up for a site then I suggest you check out the box at the very bottom. A simple click is more than enough to give up a huge helping hand. I have been checking out and playing around on the new Shadow lane website, as well. I love it. I suggest you go and check it out. I loved ordering VHS and DVDs but having all of them at my fingertips is so much better. This Week In Spanking Episode 7: Zebra spanks monkey (Or interview with John Osborne & Sarah Gregory. 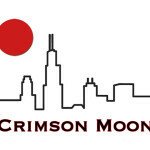 This Week In SPanking Episode 19: Driving Home from Crimson moon. This Week In SPanking Episode 18: So much stuff! Shadowlane!